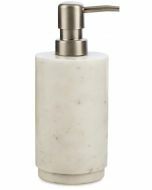 Add extra storage and a luxurious finishing touch to your bathroom with this Marble Cannister with Flat Lid. The simple, cylindrical design is an effortless match for any sink style and just as easy to pair with your existing toothbrush holder, tumbler and other bathroom accessories. The bathroom cannister is ideal for storing cotton swabs and pads, extra bars of soap, bath bombs and more, and the lid keeps the contents dust-free and your bathroom vanity looking neat. Whether your decor is warm and traditional or sharp and modern, this versatile bathroom cannister is sure to be right at home in the space. 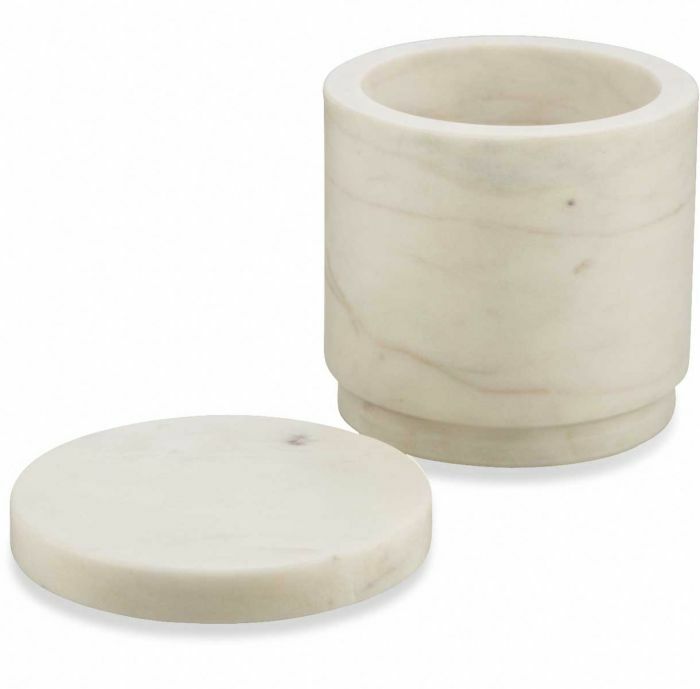 The rich marble material has a weighty, stable feel that helps to keep the cannister from sliding around on the counter top and that stands up to daily use for year after year. Measuring 10 cm (L) x 10 cm (W) x 10 cm (H), and featuring smooth surfaces all around, it wipes clean quickly and easily whenever company is on the way.